The Emmys 2018 live streaming will be available worldwide on September 17, Monday. 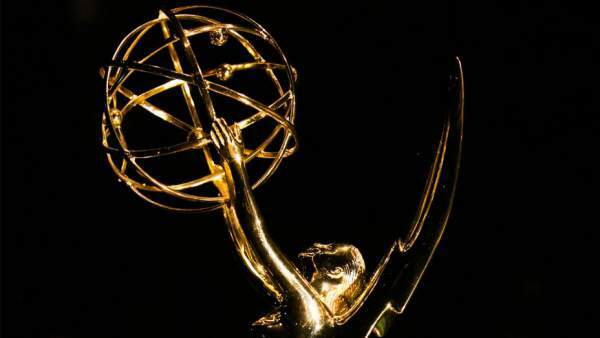 The Emmy Awards ceremony for this year starts at 5 pm PT (8 pm ET) for TV subscribers. You can also watch Emmys online via NBC website. There are some regions where the viewers can catch NBC live stream on DIRECTV Now, Hulu Live TV, PlayStation Vue, and YouTube TV. The above-mentioned streaming services also offer free trial periods. Using those trial offers, you can get your hands-on their qualities. The Emmy Awards red carpet show will be held at the Microsoft Theater in downtown Los Angeles. It will start 30-minutes before the actual start of the ceremony. The Saturday Night Live stars Michael Che and Colin Jost are going to host this one of the top TV honors for the first time. According to our predictions, some of the winners of the 70th Primetime Emmy Awards are The Assassination of Gianni Versace and The Handmaid’s Tale. They are expected to take home four awards. Atlanta should take the award for Best Comedy Series among three other categories. They will be followed by The Americans, The Marvelous Mrs. Maisel, and Saturday Night Live. This forecast is a result of predictions based on the views of 27 expert journalists from media sites like Deadline, Variety, and TV Guide; some of our editors, and some of our subscribers like you. You can also predict the winners and let us know in comments below until the Monday night show kicks off. If you wish, you can review our predictions as well. Since Game of Thrones didn’t air in 2017 to be eligible this time, all eyes are on this award. Let us see who takes maximum awards this time. Until the last year, HBO had been leading the nominations list but Netflix is on top this year. Will Sandra Oh become the first Asian-American woman to win the award for Outstanding Lead Actress in a Drama Series (for Killing Eve)? You can also download the NBC app to watch the broadcast on your smartphone, tablet, or computer. The Big Freeze Worldwide’s GlamCam360 will show every outfit in a way that television won’t show you. You can also refer to the FXX Live Stream (https://www.fxnetworks.com/live-tv/pacific) page to catch the latest updates if it’s available in your region.